The administrative menu available by Alt-Click (right mouse click) of the Start menu icon is also referred to as the Power-user or WinX menu. The latter naming convention is associated with the ability to launch the menu by using the Windows key + the X key (Win + X). The WinX menu is available in Windows 8, 8.1 and Windows 10. Recent students asked for a means to modify the list of options available to users within the WinX Menu prior to deployment of Windows 10. 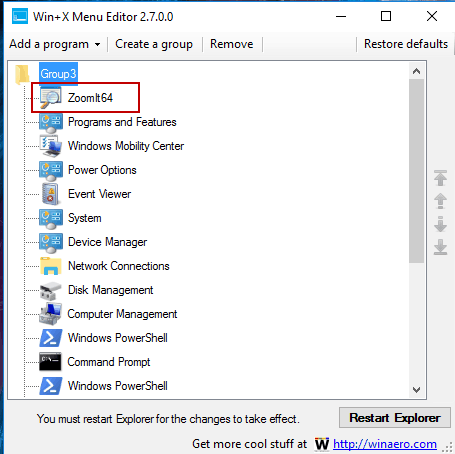 Tim Fisher wrote an article about replacing the Command Prompt with Windows Power Shell using the control panel in Windows 8.1. 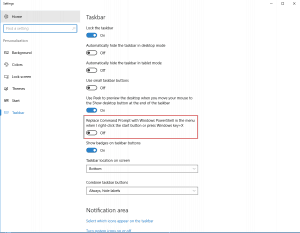 You can perform a similar effort within Windows 10, albeit more easily by simply navigating to Settings > Personalization > Taskbar and then selecting the ‘Replace Command Prompt with Windows PowerShell …’ from the list of options. This appears to be the only direct customization option for the Win+X menu built into the system interface. So I conducted some additional research. Tim Fisher also wrote an article referencing the Registry Location for the Power user settings. 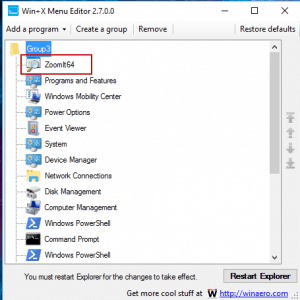 “The Power User Menu can be customized by rearranging or removing shortcuts within the various Group folders contained within the C:\Users\[USERNAME]\AppData\Local\Microsoft\Windows\WinX directory. I found the folders referenced in Tim’s article containing content for the WinX menu. The Groups are listed in reverse order such that Group3 items appear at the top of the WinX menu. It appears that you can manually make changes to the groups by creating custom shortcuts and adding them to the Group(s), or creating a new Group, though caution is advised since more is required than merely adding a shortcut to the folder location. Rafael Rivera originally wrote a tool called HashLnk.exe that enabled administrators to create and add a shortcut into the set of Win+X tools for Windows 8. The process was straightforward as discussed in a HowToGeek article based on Windows 8/8.1. Variant searches still lead to the use of the HashLnk tool, though finding a clean version of the tool may be problematic (since it is no longer easily found through Rafael’s site). The tool requires a simple though multi-part sequence that includes the use of the administrative command line and a technical understanding of the possible consequences for each step if performed incorrectly. For instance, the tool requires a restart of Windows Explorer via Task manager for each change. Alternate search results reference the Win+X Menu Editor Tool, although finding an article the enables a clean or safe download of the tool can be somewhat problematic. The most comprehensive “how to” article for the Win+X Menu Editor was put together by Bogdan Hosu for Digital Citizen. 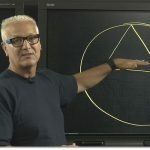 His article, along with most others reference tool acquisition through Winaero.com. Winaero provides a clean, GUI interface solution for altering the Win+X menu that can be downloaded here. Although you must be VERY CAREFUL navigating the page to find the correct URL to download the WinXMenuEditorRelease.zip file. The page promotes (temptation, temptation) many other downloadable tools that you do NOT want. Find the link that offers the Download Win+X Menu editor. As a Security+ instructor, I also caution you to scan the zip file and everything you extract manually from the zip file before any installation. Winareo provides a version/feature update page that identifies the WinX Menu editor as a graphic solution based upon the HashLnk source code from Rafael Rivera. The documentation page also has a link to access the download, although this link merely redirects you to the ‘temptation’ page. How-ToGeek also references the tool and provides a comprehensive overview. The How-To Geek site redirects to Winaero for download as well. Once I had downloaded (and security scanned) the WinX Menu Editor tool, the process was fairly straight forward. You can see below where I added one of my favorite tools – ZoomIt64 – used during demonstrations. Documentation associated with the tool is limited, read the articles before you use the tool. Make a system Restore Point before you install or begin using the tool, just in case you make changes from which you find it difficult to recover. Both the 32-bit and 64-bit versions of the tool are provided in the zipped download file. Use ONLY the 32-bit version on 32-bit systems and the 64-bit version on 64-bit systems. The changes appeared only within my user profile. 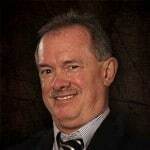 Another of our instructors, Rick Trader, logged into my system to confirm that the changes are user specific by default. This appears consistent with making changes through the Settings > Personalization panel as such changes are intended to be user specific. 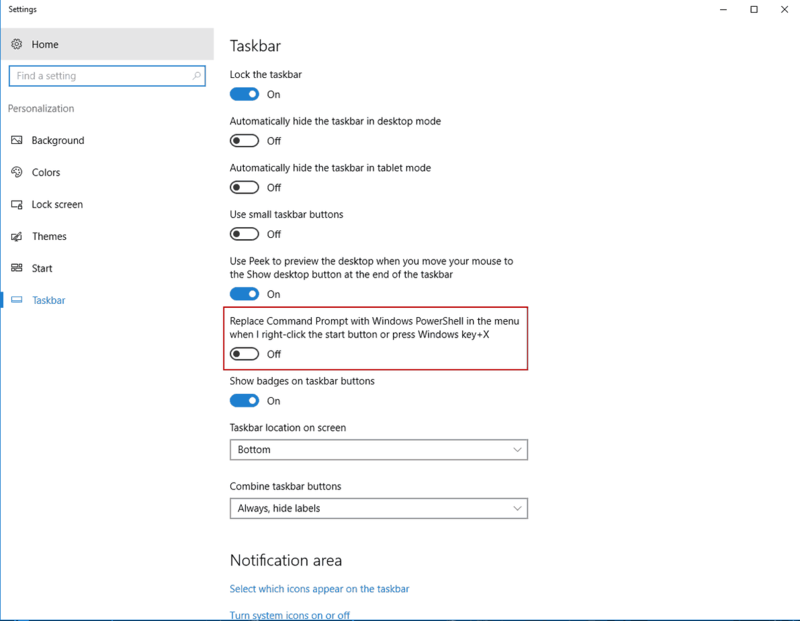 Some experimentation will be necessary if you are trying to make the changes universal or for the default profile on a Windows 10 system.